Share your childcare experience with MomsRising! All families should have access to affordable, high-quality early care and education opportunities that are welcoming and inclusive of all self-defined families, provide for a well-trained and compensated workforce, and create environments where all children can thrive so that all children are ready and successful for school and life regardless of race, ZIP code, ability, identity, or any other factor. To read our campaign's full mission statement, click here (PDF). Bottom line: Diapers are a need. Period. Governor Jay Inslee and the Department of Children, Youth, and Families Secretary Ross Hunter are working on plans for significantly increasing access to affordable, high-quality early learning opportunities including preschool, childcare, and services for babies and toddlers in the Evergreen State -- and they want and NEED to hear from experts like you: Parents, families, and everyone with a belly button who cares about kids. 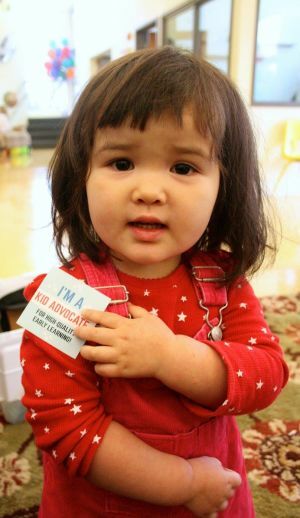 Help save 10,000 NC childcare subsidies! Your voice is urgently needed to ensure over 10,000 NC children don’t lose a chance at high-quality early education! In the next forty-eight hours, NC lawmakers will be finalizing the state budget. They need to hear from you right now that they need to use new federal money as it was intended–to make childcare more affordable for working families! To build momentum nationally for childcare, we need families (like yours!) 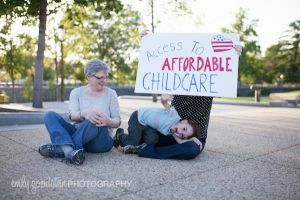 to share their experiences in order to show our leaders that high-quality, affordable childcare is a priority for their constituents.